BakingTech 2017 is a great place to see the latest baking technology. BakingTech 2017 is where you should be! Come and be part of a community that looks to the future of baking, shares ideas and embraces the diverse products that make up the baking industry. For the food industry especially, building a strong and active community is crucial for sparking innovation. This is what BakingTech 2017 is all about. This annual event is the industry’s leading technology conference and exposition. If you’re looking for the chance to see leading technology, explore technical solutions and talk with people who have experience, this is the show for you. Around 1,300 baking professionals come together for this weekend in February. The year’s theme is “Diversity—It’s all in the mix!” Just as the baking industry is expanding in a diversity of products, the American Society of Baking (ASB) believes there should be a diversity of ideas as well. Equipment and ingredient suppliers will show their wares, while professional workshops, lectures and the Leadership Discussion will provide the opportunity for you to grow. It’s the perfect place to mingle, build your network and see where the technical side of our industry is heading. Keynote Presentation by Nathan Myhrvold, Inventor, Author, and Chef. The Workforce Gap in U.S. Commercial Baking: Trends, Challenges and Solutions presented by Marjorie Troxel Hellmer. Keynote Address: Fewer Bigger Bolder – Mindless Expansion to Focused Growth presented by Sanjay Khosla , a Senior Fellow at the Kellogg School of Management, Northwestern University and Senior Adviser at Boston Consulting Group. Closing Keynote address by US Army Master Sergeant Cedric King, who completed the Boston marathon just 21 months after losing both legs on tour in Afghanistan. An industry panel discussion, led by myself and with Brent Bradshaw (Flowers Food); John Khoury (Wheat Montana); Julie Nargang (Azteca Foods, Inc.) and Todd Wallin (Ellison Bakery). BakingTech is hosted by ASB. The group is a mix of commercial baking professionals, food technologists, engineering, equipment, ingredient and service experts. Their goal? 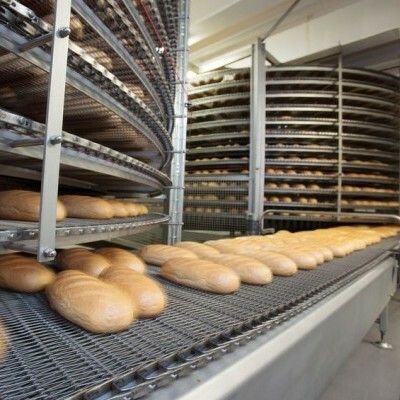 Advance baking and the science and technology behind it. ASB hopes to build a group of trained, motivated leaders for the industry that continues to push the limits. There are a number of ways to get involved by being a member with ASB, including a Professional membership, Young Professional membership, Student membership and Lifetime membership. Whether you join ASB or not, hopefully you are searching for ways to better your craft. To keep learning and growing, not just for your product line but for the whole food industry. Because when we work together, who knows what will be possible? See the full schedule and speaker list for BakingTech 2017! I hope to see you there!